Click For More Info 1989 - 1989 6000 ALL L4 2.5 ALL ALL ALL OE recommended replacement part. Click For More Info 1989 - 1989 6000 LE V6 2.8 ALL ALL ALL OE recommended replacement part. Click For More Info 1989 - 1989 6000 SPECIAL EDITION V6 2.8 ALL ALL ALL OE recommended replacement part. 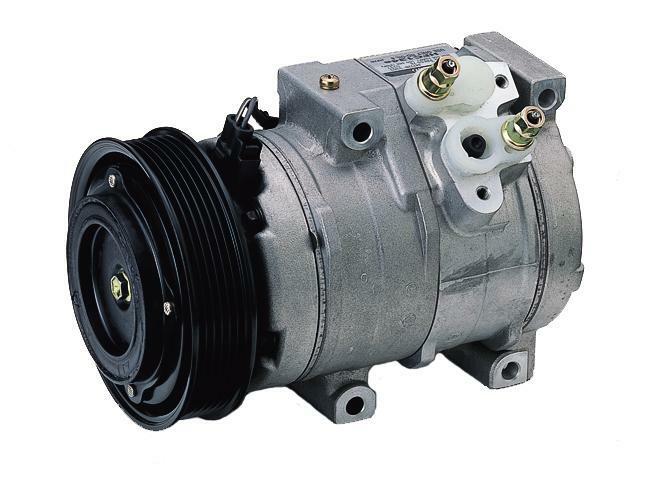 Click For More Info 1989 - 1989 6000 STE V6 3.1 ALL ALL ALL OE recommended replacement part. Click For More Info 1990 - 1991 6000 ALL V6 3.1 ALL ALL ALL OE recommended replacement part. Click For More Info 1989 - 1994 BONNEVILLE ALL V6 3.8 ALL ALL ALL OE recommended replacement part. Click For More Info 1995 - 1995 BONNEVILLE SE V6 3.8 N ALL ALL OE recommended replacement part. OE-specified Oil included. Click For More Info 1995 - 1995 BONNEVILLE SSE V6 3.8 S ALL ALL OE recommended replacement part. Click For More Info 1996 - 1999 BONNEVILLE ALL V6 3.8 ALL ALL ALL OE recommended replacement part. Click For More Info 2000 - 2005 BONNEVILLE ALL V6 3.8 ALL ALL ALL OE recommended replacement part. Click For More Info 1993 - 1995 FIREBIRD ALL V6 3.4 ALL ALL ALL OE recommended replacement part. Click For More Info 1993 - 1995 FIREBIRD ALL V8 5.7 ALL ALL ALL OE recommended replacement part. Click For More Info 1995 - 2002 FIREBIRD BASE V6 3.8 ALL ALL ALL OE recommended replacement part. OE-specified Oil included. Click For More Info 1996 - 1997 FIREBIRD FORMULA V8 5.7 ALL ALL ALL OE recommended replacement part. Click For More Info 1996 - 1997 FIREBIRD TRANS AM V8 5.7 ALL ALL ALL OE recommended replacement part. Click For More Info 1998 - 2002 FIREBIRD FORMULA V8 5.7 ALL ALL ALL OE recommended replacement part. Click For More Info 1998 - 2002 FIREBIRD TRANS AM V8 5.7 ALL ALL ALL OE recommended replacement part. Click For More Info 2008 - 2008 G5 ALL L4 2.2 ALL ALL ALL OE recommended replacement part. OE-specified Oil included. Click For More Info 2008 - 2008 G5 ALL L4 2.4 ALL ALL ALL OE recommended replacement part. OE-specified Oil included. Click For More Info 2005 - 2006 G6 ALL V6 3.5 ALL ALL ALL OE recommended replacement part. OE-specified Oil included. Click For More Info 2006 - 2006 G6 ALL V6 3.9 ALL ALL ALL OE recommended replacement part. OE-specified Oil included. Click For More Info 2006 - 2006 G6 ALL L4 2.4 ALL ALL ALL OE recommended replacement part. OE-specified Oil included. Click For More Info 2007 - 2009 G6 ALL V6 3.9 ALL ALL ALL OE recommended replacement part. OE-specified Oil included. Click For More Info 2007 - 2010 G6 ALL V6 3.5 ALL ALL ALL OE recommended replacement part. OE-specified Oil included. Click For More Info 2008 - 2010 G6 ALL L4 2.4 ALL ALL ALL OE recommended replacement part. OE-specified Oil included. Click For More Info 1994 - 1995 GRAND AM ALL L4 2.3 ALL ALL ALL OE recommended replacement part. Click For More Info 1994 - 1998 GRAND AM ALL V6 3.1 ALL ALL ALL OE recommended replacement part. Click For More Info 1996 - 2001 GRAND AM ALL L4 2.4 ALL ALL ALL OE recommended replacement part. Click For More Info 1999 - 2005 GRAND AM ALL V6 3.4 ALL ALL ALL OE recommended replacement part. OE-specified Oil included. Click For More Info 2002 - 2004 GRAND AM ALL L4 2.2 ALL ALL ALL OE recommended replacement part. Click For More Info 2005 - 2005 GRAND AM SE L4 2.2 ALL ALL ALL OE recommended replacement part. Click For More Info 1992 - 1993 GRAND PRIX ALL V6 3.4 ALL ALL ALL OE recommended replacement part. Click For More Info 1994 - 1995 GRAND PRIX ALL V6 3.1 ALL ALL ALL OE recommended replacement part. Click For More Info 1994 - 1996 GRAND PRIX ALL V6 3.4 ALL ALL ALL OE recommended replacement part. Click For More Info 1996 - 1996 GRAND PRIX ALL V6 3.1 ALL ALL ALL OE recommended replacement part. OE-specified Oil included. Click For More Info 1997 - 2002 GRAND PRIX ALL V6 3.8 ALL ALL ALL OE recommended replacement part. OE-specified Oil included. Click For More Info 1997 - 2003 GRAND PRIX SE V6 3.1 ALL ALL ALL OE recommended replacement part. OE-specified Oil included. Click For More Info 2003 - 2003 GRAND PRIX GT V6 3.8 ALL ALL ALL OE recommended replacement part. OE-specified Oil included. Click For More Info 2003 - 2003 GRAND PRIX GTP V6 3.8 ALL ALL ALL OE recommended replacement part. OE-specified Oil included. Click For More Info 2004 - 2008 GRAND PRIX ALL V6 3.8 ALL ALL ALL OE recommended replacement part. OE-specified Oil included. Click For More Info 2005 - 2005 GRAND PRIX BASE V6 3.8 ALL ALL ALL OE recommended replacement part. OE-specified Oil included. Click For More Info 2005 - 2005 GRAND PRIX GT V6 3.8 ALL ALL ALL OE recommended replacement part. OE-specified Oil included. Click For More Info 2005 - 2005 GRAND PRIX GTP V6 3.8 ALL ALL ALL OE recommended replacement part. OE-specified Oil included. Click For More Info 1999 - 2000 MONTANA ALL V6 3.4 ALL ALL ALL OE recommended replacement part. OE-specified Oil included. Click For More Info 1995 - 1995 SUNFIRE ALL L4 2.3 ALL ALL ALL OE recommended replacement part. Click For More Info 1995 - 2001 SUNFIRE ALL L4 2.2 ALL ALL ALL OE recommended replacement part. Click For More Info 1996 - 1997 SUNFIRE SE L4 2.2 ALL ALL ALL OE recommended replacement part. Click For More Info 1996 - 2002 SUNFIRE ALL L4 2.4 ALL ALL ALL OE recommended replacement part. Click For More Info 2003 - 2005 SUNFIRE ALL L4 2.2 ALL ALL ALL OE recommended replacement part. Click For More Info 1994 - 1995 TRANS SPORT ALL V6 3.1 ALL ALL ALL OE recommended replacement part. Click For More Info 1996 - 1998 TRANS SPORT ALL V6 3.4 ALL ALL ALL OE recommended replacement part. OE-specified Oil included.